Welcome to the new Hoy’s Martial Arts Website ! As you can see, we are still in the construction phase. But please keep checking back for updates, important announcements, current class schedules, and other information! Great spot for both adult & kids classes! My son takes kids classes and loves going, he’s picked up self defense instruction, Brazilian jiu jitsu, and basic striking. Kids classes are very safe and efficiently run. I take the adult Brazilian jiu jitsu classes and enjoy the laid back and informative atmosphere. The instructors are great guys who are always willing to answer questions and offer advice on technique. My son has attended for over a year. Mr Hoy does an excellent job working with kids of all ages and teaches, not only martial arts, but life lessons kids can use in daily life. Highly recommended!! Hoy’s Martial Arts Academy has taught my 7 year old son discipline, respect and character building skills through their anti-bullying techniques. Mr. Hoy’s self defense methods have taught my child to be confident and strong. We plan to be part of the school for many years to come. Hoys martial arts is the best place for adults and kids to train martial arts in the area. They offer training in Filipino Kali, Indonesian Silat, Bruce Lee’s Jeet Kune Do, and they also have an outstanding BJJ program.. the kids programs are outstanding, and there is a path of progression for them to attain the skills necessary to attend the adult classes. Everyone knows the benefits of training martial arts.. the key difference is WHERE you train, and HOW you train. Sifu Chris Hoy is an outstanding teacher, and an even better man. I give Hoy’s my highest recommendation, and won’t train anywhere else. Hoy’s Martial Arts Academy has helped me find a level of confidence and ability I didn’t know I had. 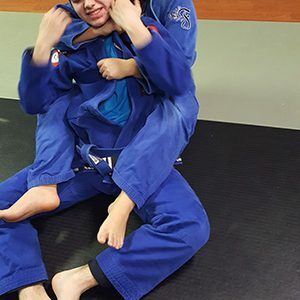 After leaving the Washington D.C. area and training Jiu Jitsu at the Pedro Sauer Academy, I was referred to HOY’S Martial Arts Academy and found the level of training to be outstanding. My Son and Daughter also attend Chris Hoy’s Academy and love the individual attention and quality instruction from Chris and Angelo Vega, one of the head instructors. They really make you feel like part of the family. The best Jiu Jitsu Academy in the area in my opinion. The kid’s program at Cleveland Self Defense / Hoy’s Martial Arts Academy, incorporates a multi-faceted curriculum that is focused on helping kids bolster a positive self-image, physical and mental maturity, and confidence needed to help tackle adversity throughout their elementary, middle, and high school years. Gracie/Brazilian Jiu-Jitsu (BJJ) is a combat sport and self-defense system that focuses on grappling and ground fighting. It was made famous by Royce Gracie in the early years of “no holds barred” fighting competitions. Our program is built around the fundamentals and philosophies employed by the Gracie family, who brought this system, modified from traditional Japanese Jiu Jitsu, and tested in the rough streets of Brazil, before making its way to the United States. The Gracie family continues to develop the art today. 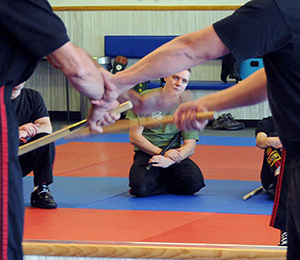 At Hoy’s Martial Arts Academy we also offer a traditional martial arts program. This program is actually a blend of three martial arts known as JKD/Jeet Kune Do, Filipino Kali, and Silat, known in Indonesia as PENTJAK SILAT, and in Malaysia as BERSILAT. Whether you choose kickboxing as a form stress management, or get an efficient, but effective complete body workout once a week, you won’t be disappointed with the results you will see in the mirror, and how you’ll feel in accomplishing your daily activities.